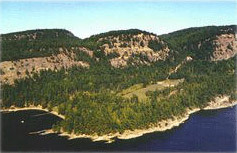 Saturna has the least development and smallest population of the main southern Gulf Islands, not least because 48% of the island lies within the Gulf Islands National Park Reserve. A close-knit community of 350 islanders shares Saturna with the abundant wildlife and sealife found in its forests and shorelines. The name Saturna comes from the Spanish ship, Saturnina, which in 1791, under the command of Jose Maria Narvaez, arrived at the island during the period of Spanish exploration of the Pacific coastline. First Nations peoples used the island as a seasonal hunting and fishing ground before and after 1791 but permanent settlement didn't happen until the mid-1800s when British settlers began arriving in the Gulf Islands. The island enjoys an almost Mediterranean climate with mild, damp winters and warm, dry summers (often accompanied by water restrictions). That means that both long growing seasons and extended opportunities for outdoor activities are normal for Saturna. The landscape is dominated by thick forests, sheer ridges and bluffs, and indented, rocky shorelines. Sandstones, shales and conglomerates erode into fantastical formations and patterns. Photo opportunities abound. Saturna's relative isolation - there was no provincial ferry service here until the 1970s - allowed it to avoid the much of the growth and development that have caused some neighbouring islands to lose their "innocence". Saturna remains an island of tranquility. Today, there is still no actual townsite. 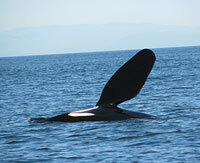 Rather, Saturna's residents are scattered along the coastlines and ridges, and on a handful of small farms. Saturna does without some modern "necessities": no malls (just a couple of general stores), no bank (but we now have an ATM), no resident doctor or pharmacy, no cable TV, spotty cell phone coverage, no full-time police presence, etc. This means that Saturna full-timers tend to be both self-sufficient and down-to-earth. They also help each other by wide-spread volunteerism. Community activities and projects are both well staffed and well attended. Various local clubs and associations host cultural and social programs and events. Island visitors are always welcome at concerts and dinners and celebrations that are regular Saturna occurrences. What better way to intimately experience island life? Check our "News & Events" page for upcoming activities that could add an extra dimension to your Saturna visit. "Such a peaceful, relaxing setting. Loved the breakfast & gardens."